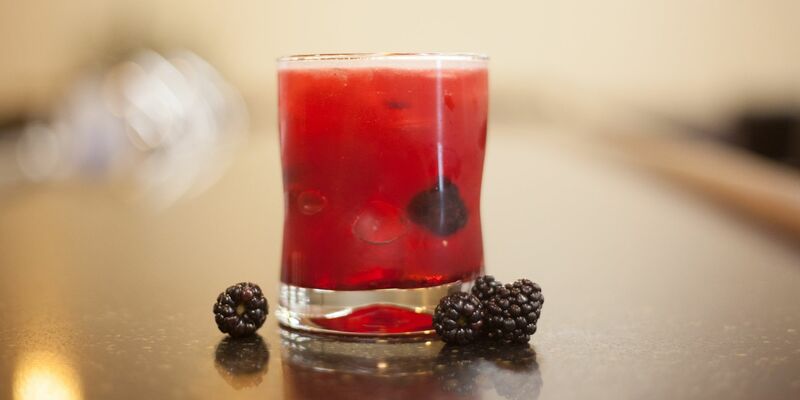 This week on Mixed Drink Monday we are introducing the Blackberry Whiskey Smash! Drink-wise, you will need Canada Dry Club Soda and Backwoods Bourbon Whiskey. This recipe makes 4 servings, but you need to make the Blackberry Simple Syrup first. Don’t worry, it’s not hard!